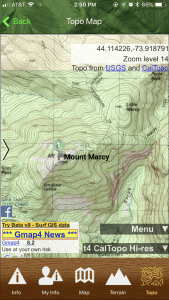 The app includes topo maps of all the High Peaks. Now in 2018, version 2.4 has some major improvements that will further aid hikers on their adventures. The Log Book is a space where hikers can record all the details of their trip, including date and time, photographs, weather conditions, and any other notes. All this information can now be shared with friends and family via email or Facebook. This is a new addition to the app. 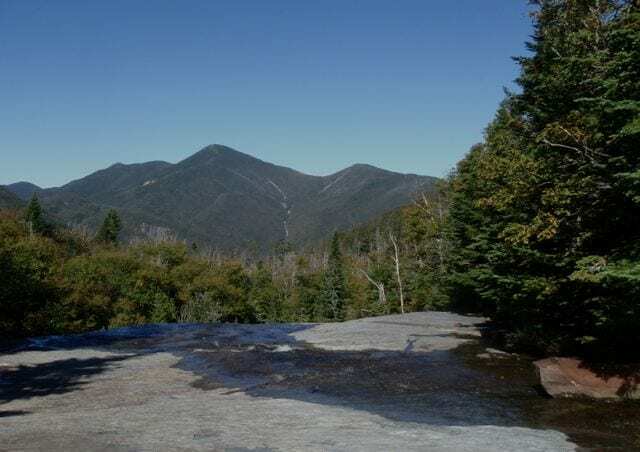 The High Peaks button provides specific details about all of the forty-six peaks, including elevation, ascent, length, difficulty, latitude and longitude, and even common trailheads and routes. It also supplies readers with three different maps. Two of the maps show the terrain in slightly different formats. The third shows your location in relation to whatever peak you are hiking. This GPS feature should especially helpful to hikers. 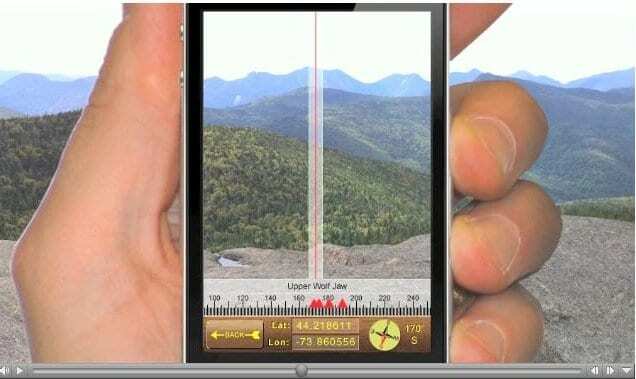 Previously, the app’s 360-degree view feature could identify only mountains within a five-mile radius. In the latest edition, the radius is expanded to ten miles, enabling hikers to identify more of peaks around them. Hikers can now share their hikes via email and Facebook. 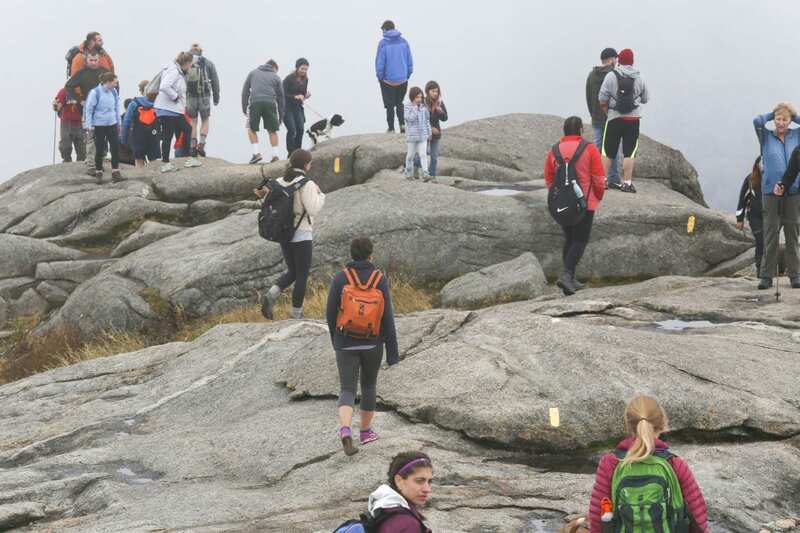 A redesigned 360-degree view that makes it easier for hikers to use. Recorded round-trip times and statistics of the hike. 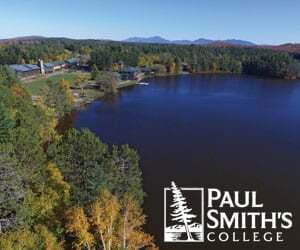 For more information and details, visit the ADK46erNow website. The newly updated app can be bought on the App Store for $3.99 and is formatted for both iPhones and Android phones. 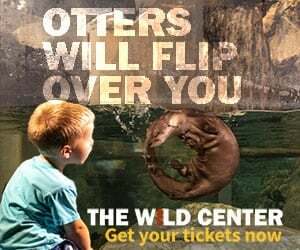 To download the app click here.